Beast and Belle when they first meet and as they dance to the classic ballad “Beauty and the Beast”. Disney’s animated feature Beauty and the Beast made movie history in 1991 when it was the first cartoon film to be nominative for the Academy Award for Best Picture. It was the first film the Disney company later adapted for a Broadway musical and only a few years after the release of the movie, the musical swept the 1994 Tony Awards with nine wins including Best Musical. So it no wonder that where ever this enchanted musical is playing, it continues to delight audiences of all ages. The musical is well suited to large casts and is ideal to showcase a talented singing and dancing chorus. 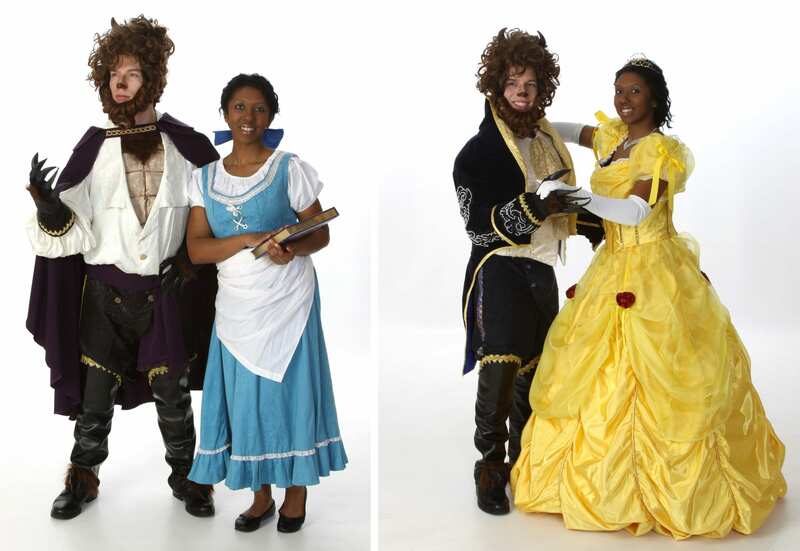 Beauty and the Beast is family appropriate and entertaining to younger audiences. Gaston showing off for the Silly Girls. Following the classic French fairytale, Belle (Beauty) agrees to live in the palace of the Beast to save her father. In her village she is considered odd because she is a bookworm who longs for adventure. Little does she know the adventures she will have in the castle with the menagerie of the Beast’s enchanted servants. They include a flamboyant candelabra Lumiere the fussy mantle clock, Cogsworth, a flirty feather duster Babette, a kind teapot Mrs. Potts and her son Chip.The Beast must learn to love and have someone love him in return to break the spell that afflicts him and all the inhabitants of the castle. But who could ever learn to love a Beast? With her new friends Belle embarks on a magical adventure to sooth the heart of a beast and break the spell. A tale as old as time as a young girl finds the courage to save her new friends and find true love. Kind housekeeper, Mrs. Potts, with her son, Chip, before and after the spell is cast. 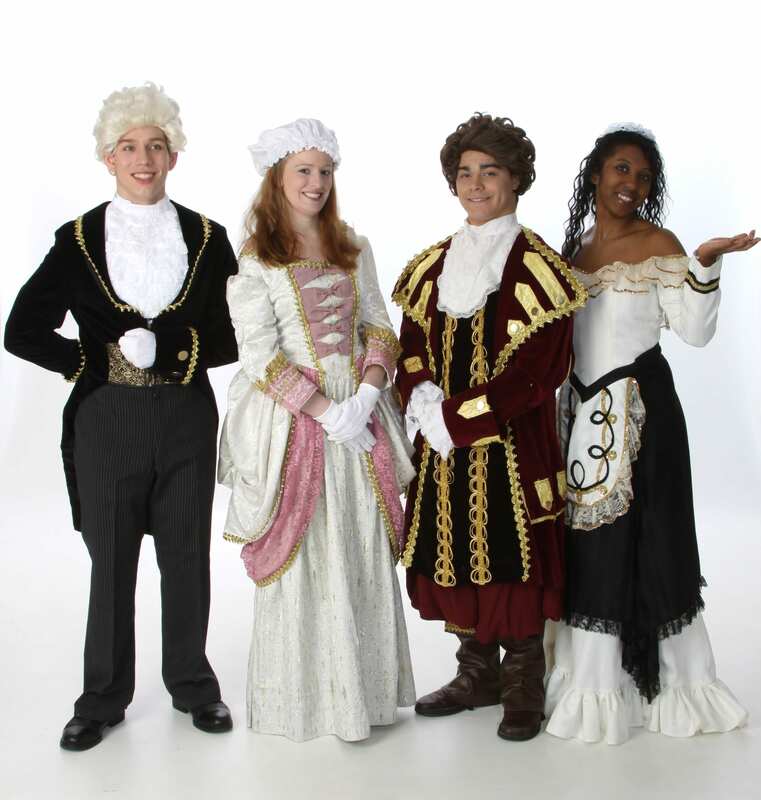 Lumiere, Madame, Cogsworth and Babette in their human costumes. Fairytale: no specific time period is set for this show. 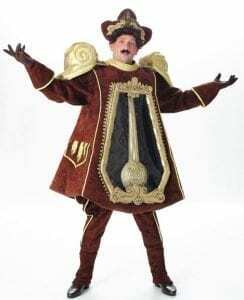 We use a combination of costumes from the Renaissance and Colonial periods to create the atmosphere of an enchanted kingdom from a long time ago. The tightly-wound Cogsworth as a mantle clock. 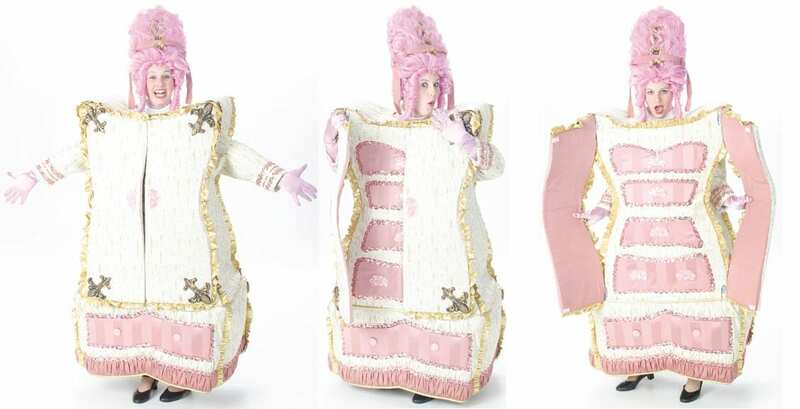 At Costume Holiday House, you can rent anywhere from one costume to the entire show! Beauty and the Beast has been our most popular show for the past several years.Â Due to the high demand and uniqueness of the costumes in this show, we have special pricing for the enchanted object costumes. 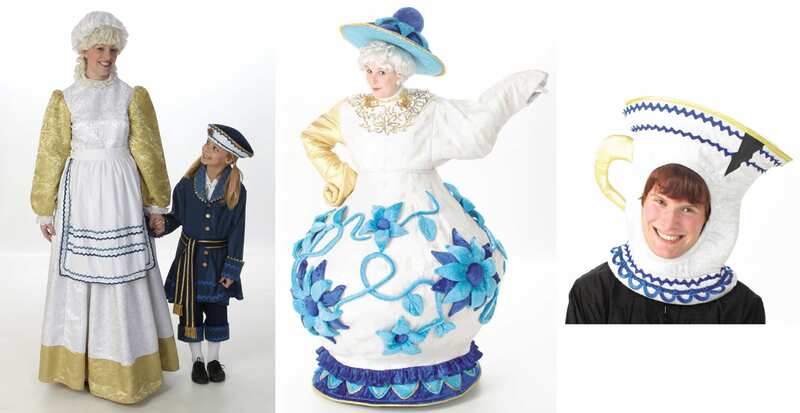 Regularly priced costumes range from $39-53 per costume. Madame de la Grande Bouche, a diva-turned-enchanted wardrobe. 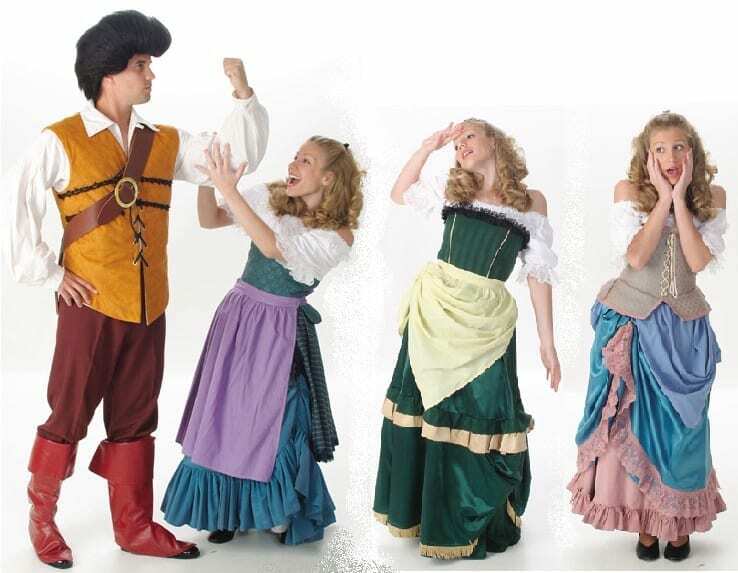 Visit our website atÂ http://www.costumeholidayhouse.com/theatre-rentals.html or call 419-334-3236 Â to speak to a representative from our Theatre Department. To request a Costume Plot and Theatrical Rental Packet for Beauty and the Beast, pleaseÂ fill out this form. Click here to view our theatrical rental policies.